Our surf camp, in the Algarve in Portugal, offers surf courses for beginners and advanced surfers. 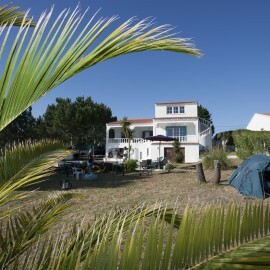 Our surf camp in Portugal is open from the end of april to the end of october. 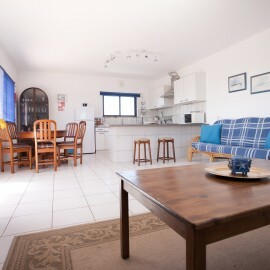 The apartments include a beautiful swimming pool, a small cozy bar to chill after surfing, a barbecue and a gym. Impressive sandy beaches, breathtaking cliffs and sleepy villages are waiting to be discovered. We can help you to organize any day trip! With us you get a massage that is tailored to your needs. To start your surfing day perfectly so that you have enough energy for the session, you can book a rich, healthy breakfast. In walking distance to the camp open yoga lessons are offered 3-5x a week depending on the season. 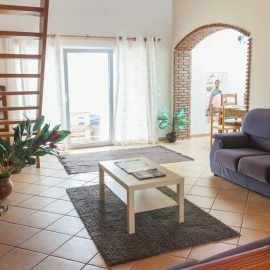 Our surf camp in Portugal is a "real" surf camp - a cozy villa with a large pool, communal kitchen and free internet (WiFi). Kitesurfing - the fun sport of the new millennium! You can book in combination with a surf course. After registration you will receive a confirmation of your registration by e-mail within 1 to 2 days with all necessary information about your surfing holiday with us in Portugal. A timely booking is recommended so that you can get a seat at your desired date.